The UAE courts operate Sharia law for Muslims, but also offer access to its courts for non-Muslim residents. The principle is that then UAE courts apply the applicant’s “home” law. This can be problematic. We act for many clients within this jurisdiction, be they UAE Nationals living in England or Wales, or British expatriates residing there. The Foreign Office has warned expatriates living within the United Arab Emirates that they could face Sharia Courts in divorce or child custody cases. This is not the full story. Not all expatriates are subject to Sharia law. The UAE Courts are prepared to have non-Muslim expatriates apply the law of their home countries. However when it is not possible to use the foreign law, the UAE family code will apply. It is based on Sharia law but in child custody cases the Judges have a degree of discretion to take into account the best interests of the children. In financial cases there is effectively very little discretion and hence the practical outcome is that no property adjustment orders are made. Where the expatriates are Muslim then of course the UAE family code applies. Where the couple are non-Muslim, and there is a dispute concerning children, a classic problem of private international law arises. If the family are English for example, one partner may say that they want English law to apply. However English law first looks at where the children are habitually resident. Since the answer is that they are habitually resident in the UAE, the English Courts are likely to adopt the default position that it is then for the UAE Courts to make the decision, unless the other partner also agrees to the English Courts having jurisdiction. However the UAE is not party to the Hague Convention on the International Aspects of Child Abduction. Therefore if the children are in England at the point an application is made, there is no presumption that they will be returned to the UAE; it is a matter to be assessed according to the welfare of the children. Therefore if the children are physically located in England at the point the application is made, even though they are not habitually resident, the English Courts will be able to take control of the proceedings. Obviously this can lead to some unsatisfactory outcomes, but it is an inevitable consequence of a situation where there is no international treaty in place to protect children’s rights. 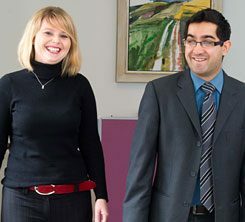 We are specialist international divorce lawyers and family solicitors and we have advised numerous clients who are either UK-based but originate from UAE, or are living outside of the UK but have a connection with England or Wales.